The 'phoney war' over the EU referendum came to an abrupt end last weekend when David Cameron announced the long-awaited details of his torturous negotiations with European leaders and set a date of 23 June for the country to go to the polls on the question of whether to stay in or leave the union. Among the details of the deal, which Cameron says will reshape Britain’s relationship with Europe for the better, are changes to migrant welfare payments and making it easier to block unwanted regulations from Brussels. The announcement has already triggered the opening salvos in what will prove to be a bitter four-month battle all the way to polling day. The various campaigns to remain inside or leave the EU are now desperate to recruit the strongest voices to add weight to their cause. The ‘out’ camp has already received a significant boost with the announcement that London Mayor Boris Johnson has decided to campaign against Cameron’s deal, which some political commentators regard as an opportunistic move to propel him to the leadership of his party, rather than a principled stance. Both camps are keen to recruit the voice of business to their banner in order to lend additional credibility to their arguments. In this respect, the ‘in’ camp has won a significant PR victory after a letter calling for Britain to remain in the EU appeared in The Times on Tuesday signed on behalf of 36 FTSE100 companies. On the same day, a poll of business leaders conducted by the Confederation of British Industry and CBRE found that 95 per cent agreed that London’s access to European markets was its greatest strength. But should business declare an interest on one side of the debate or the other and is neutrality even possible in what is sure to become the most polarising political issue to face the whole country for decades? PRWeek spoke to public affairs and corporate comms specialists to find out what they are advising their clients to do. 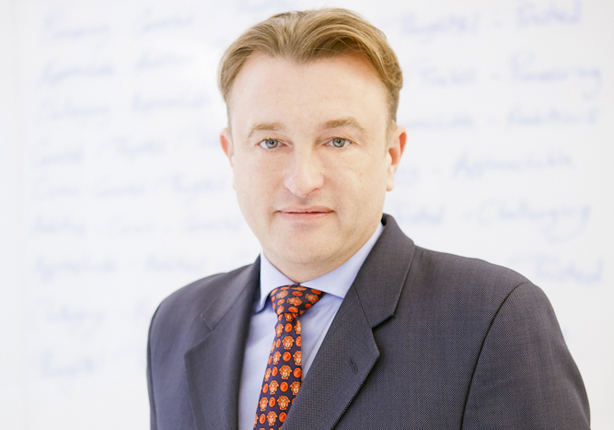 Mark Gallagher (pictured above), founder of Pagefield Communications, says he will advise corporate clients not to take a stance on Britain’s EU membership. "We absolutely won’t be advising our clients to declare an interest. We will be telling them that, if you can possibly avoid it and if it isn’t business-critical, then don’t get involved. There’s a minority of people on both sides who feel sufficiently strongly about this that it’s a bit too tribal for companies to take a public view and we feel this is especially true of any business that is consumer facing. The risk for them is in offending customers because they would be taking a position where they know a substantial chunk of their customer base disagrees with them, and that can’t be good." Gallagher’s advice for consumer-facing businesses appears to be borne out by the absence of Tesco, Sainsbury’s, Morrisons, Lloyds and Barclays, among the FTSE100 leaders who signed Tuesday’s letter. Pressed by the media on why it did not sign the letter, Tesco issued a statement on Tuesday that said the referendum was a decision for "the people of Britain" and that it would focus on serving its customers while Sainsbury’s echoed this sentiment, describing itself as an "apolitical organisation". 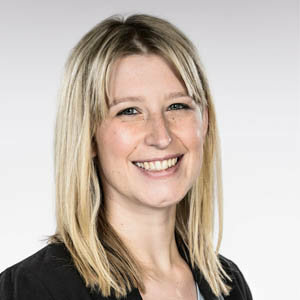 Estelle McCartney (pictured above), managing director of Champollion, says the agency will take a more nuanced approach to advising businesses on pronouncements regarding the EU and will ask them to consider the same factors as they would for any public policy issue. She says: "Is there a clear commercial rationale for taking a position that can be evidenced? Is there board-level support for that position? Do the benefits of taking a public position outweigh any risks to their business? What steps should be taken to mitigate those risks and what is the best way to communicate the stance to all stakeholders including employees and customers?" McCartney agrees with Gallagher that a risk of getting involved is alienating at least some of the company’s clients, customers or employees as well as "associating the brand with the losing side of the argument" while the rewards are helping to secure the desired outcome and positioning the brand as leader making a considered contribution to public debate. 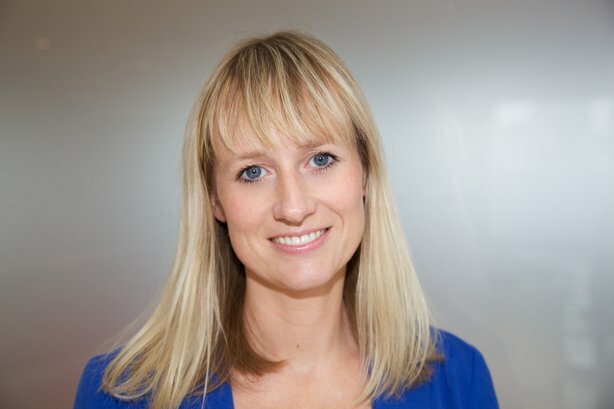 Jessica Frost (pictured above), director at Open Road, says the agency will also advise its clients to weigh up the risks and rewards carefully, and privately, before making any public pronouncements and to check with electoral regulators if they intend to lend financial support, in any form, to one side. She says: "History, famously, is written by the victors: those organisations that support the winning side could reasonably expect to bank goodwill with the administration that keeps/takes the reins of power. This can be a powerful incentive to declare publicly for one side of the campaign or the other. But there are risks too. There is the threat of public censure – now and in the future – by the opposing campaign team. 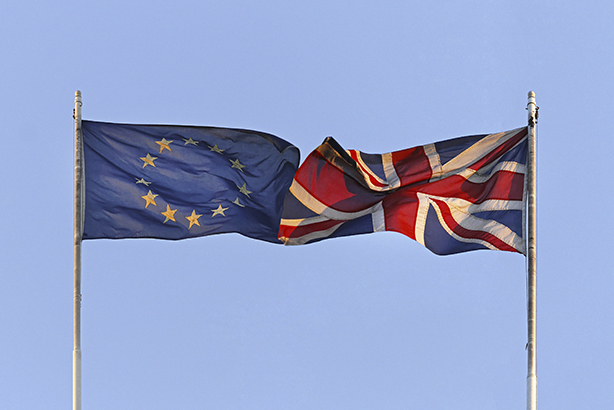 There is the risk of alienating certain employee and customer and consumer populations with entrenched views on Brexit that differ with the corporate one." But is neutrality on such a divisive issue that everyone will have an opinion about a realistic position for businesses to maintain over the coming months, or will the relentless pressure of the leave/stay campaigns, politicians and the media conspire to smoke out fence-sitters and force them to pick a side? Gallagher highlights the comparative rarity with which businesses publicly support one political party or another. He says: "I don’t think they should have any difficulty sticking to a neutral line and there are a large number of businesses for which Britain’s membership of the EU is genuinely business-neutral." McCartney thinks neutrality is a "credible position" for businesses to take but warns that even taking this position has its own set of risks. She says: "If neutrality is a company’s position, it should, however, be communicated proactively. As Tesco and Sainsbury’s have recently learned, being seemingly absent from one side or the other can put you front and centre of the media story." Frost meanwhile agrees that neutrality is possible but that sitting on the fence might become uncomfortable. She says: "Neutrals will undoubtedly come under pressure from both sides to declare a view as we near 23 June. The stakes are high and both sides of the campaign will be keen to highlight their business credentials to an undecided electorate. Both the Leave and the Remain camps have written to business leaders to encourage them to join their supporters. Neutrality will be an uncomfortable – but perfectly manageable and legitimate – position for many companies and trade associations to take." And Frost argues that business that keep their powder dry and stay out of the debate could be in a better position to capitalise on what happens in a post-referendum landscape. Another aspect to the neutral position is so-called ‘neutrality-plus’, in which companies take a neutral but the chief executive or others in the senior team speak out in a personal capacity. "This position can be difficult to manage but it has supplied a useful compromise for organisations in the past," says Frost. Gallagher also regards ‘neutrality plus’ as viable position for business leaders to take. "It’s my view that individuals, of whatever level in a company, should absolutely take a public view and take part in campaigns if that’s what they feel strongly about... although it’s more difficult for individuals, if they are high profile chief executives, to take a view and for that not to be associated with the company." But when all the hand-wringing is done over taking a position or remaining neutral, how much difference will the voice of business make in shaping the opinions of voters? Opinions are mixed on this point but McCartney thinks it will depend on what is at stake for individual voters. She says: ‘Head will rule over heart for most voters and the voice of business, which is broadly supportive of British membership, will no doubt have an impact. For some voters...whose job would be affected if we leave, business voices will be very influential. For others, whose trust in business might have diminished in recent years, an effective grassroots campaign with local advocates will be more influential." Frost picks up on the issue of falling public trust in business and says that its voice is unlikely to sway those voters who have already decided. She adds: "But it will have an important role to play in informing the public's view on the credibility of the different campaign arguments. 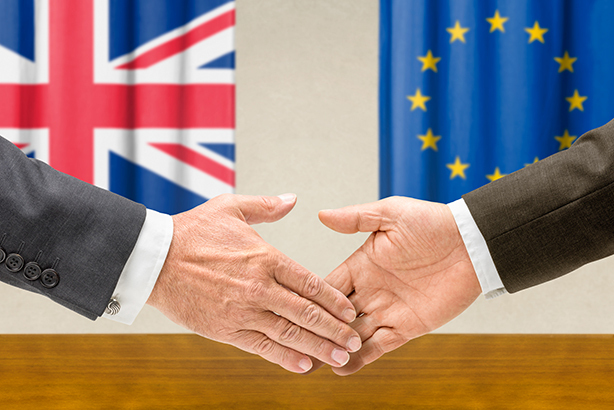 Business – perhaps more than any other stakeholder group – can make tangible to voters the impact of the UK leaving the EU. In a campaign that has to date largely focused on fear of the unknown, emotional appeals to 'Britishness' and, latterly, arcane points of Eureaucratic detail – business' ability to quantify and bring to life what life outside the EU might look like, feel like and cost – could prove vital to winning the majority vote."